Don't know centrifugal from masticating? Don't worry. We've got the scoop on everything you need to know to start creating your own tasty concoctions at home. Juice cleanses and juice bars are popular, but they're also really expensive. When you juice at home, you have total control over ingredients — and you can save a ton of money. But before you dive in, rein in your expectations. Juicing isn't going to melt the pounds off or cure cancer. It won't replace healthy meals. 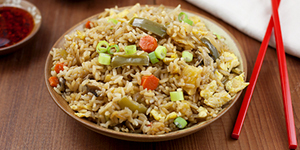 But it is a delicious way to incorporate fruits and vegetables into your diet. Here's how to get started. 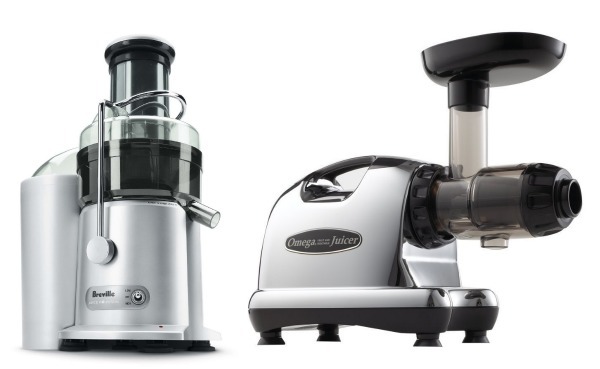 Juicers range from moderately expensive to incredibly expensive. Stocking up on fresh fruits and vegetables on the regular may also cost you depending on local availability. Decide how much you want to spend before you start shopping. Likewise, think about your free time. If you're already struggling to squeeze 15 minutes of free time into your busy day, juicing may be something you only do a few times a month — and it might not be worth spending money on a top of the line juicer. Consumer juicers come in two main categories — centrifugal and masticating. Before you back away from these confusing terms, know that one basically spins and shreds plant matter super-fast, and the other slowly chews and grinds it up. Both types of juicers create a pulpy byproduct as well as juice. If you're specifically interested in juicing wheatgrass, you'll need a masticating juicer. If you're mostly juicing fruits and vegetables and not grasses, a centrifugal juicer is fine. As you decide on a juicer, pay attention to the cleanup involved, how big the chute is and what — if any — fruits or vegetables won't work with that particular model. While it's tempting to make a sweet concoction full of peaches and pears and apples, you're better off balancing your juice with vegetables that aren't loaded with sugar. Keep a sense of balance in mind when you shop. Lemons and ginger are both excellent for adding complexity to any juice's flavor profile. If you're not following a recipe, organize your juice ideas by color family. Be prepared to make a mess in your kitchen. Wash your fruits and vegetables thoroughly. Depending on the size of your juicer's feeder chute, you may have to chop larger fruits and vegetables. Many juice fans prefer carrots and other root vegetables to be peeled first to avoid the earthy taste of vegetable skin. Follow a specific recipe, like one of these vegetable juice recipes, or let your taste buds guide you. Apples are an easy way to add sweetness to any juice, while lemons cover the bite of leafy vegetables. Pay attention to shelf life. Juice doesn't keep well, so if you're juicing ahead of time, plan on stocking up for only one or two days. Store juice in tightly sealed glass bottles for maximum safety and freshness. Watch your speed. If your juicer has two speeds, use the highest speed for firm vegetables like beets and carrots, and the lower speed for softer vegetables like cucumber and tomatoes. Always clean your juicer immediately. Plant matter stains and sticks and can quickly damage your investment if you don't clean it thoroughly, right away. Try savory juices. Use mild peppers, cayenne in small doses, turmeric and vegetables for a juice that tastes like a meal. Read your manual. Every juicer is different. While one model may take whole fruit like a champ, another may burn out or get jammed.